Idaho currently ranks 21st in the country for solar energy production, according to the Solar Energy Industries Association (SEIA). Although Idaho fell several spots from 2017 (Idaho was listed 16th in the country last year), Idaho solar companies have so far installed approximately 414 MW of solar, and 57,475 homes are currently powered by solar, according to SEIA. Roughly 3.5% of Idaho’s electricity comes from solar. Solar production, manufacturing, and installation has created 654 jobs in Idaho. The state has invested $490.78 million in solar, as of 2018. Idaho is also home to a couple large solar farms. The Grandview PV Solar Two farm generates enough electricity to power 18,000 homes. And the American Falls Solar I and II farms produce enough energy to power 7,000 homes. Solar photovoltaic, or solar PV, is a conversion process where photovoltaic cells capture light photons from sunlight and convert it into electricity. That electricity travels down the panel into an inverter, which changes the direct current into alternative electricity to power homes, businesses, office buildings, etc. A panel facilitates this process, hence the name solar PV panels. The City of Boise has been working to make solar PV more viable for city residents and recently received a Gold Designation from SolSmart, a nonprofit that assists local governments in creating solar opportunities for community residents. Although Idaho benefits from some of the cheapest electricity prices in the country, solar energy has gained parity with other energy sources. Additionally, solar development as a whole has generated ancillary economic and community benefits—benefits the city of Boise wants to keep incentivizing. Idaho residential customers pay an average of 10.46 cents per kilowatt hour, though the average price across all sectors is 8.29 cents per kilowatt hour, according to the U.S. Energy Information Administration. In comparison, the average price for electricity in the U.S. is approximately 12 cents per kilowatt hour, with Hawaii paying the most at around 33 cents per kilowatt hour. Idaho’s relatively cheap energy is thanks in large part to an abundance of natural resources throughout the state, including hydroelectric power. Though Idaho’s electricity prices are likely to remain low, utility costs are still expected to rise year-to-year. A solar PV system installed by a solar Boise Idaho company can help buffer against these increased costs and provide consistent electricity without rate increases. This can yield an estimated 50% in savings per kWh on utility costs over 25 years, according to solar panel installation company, EvenGreen Technology. 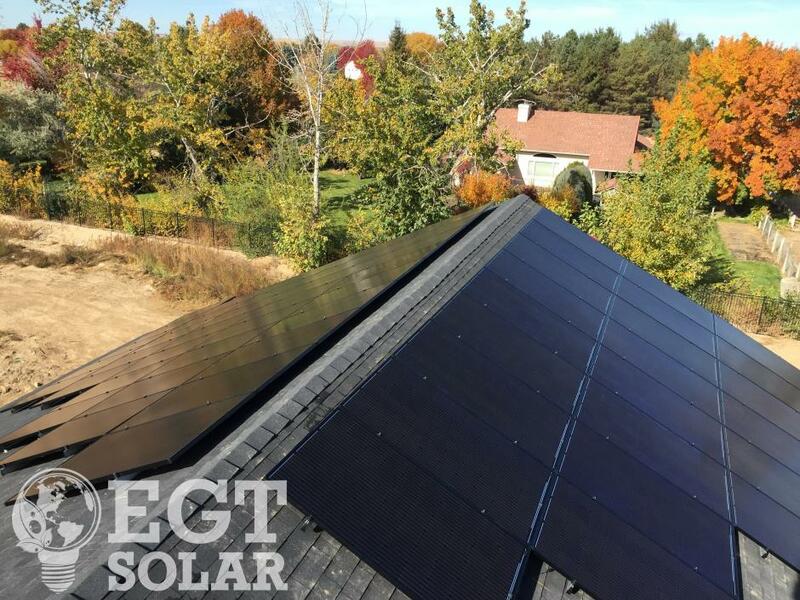 EvenGreen Technology offers a host of solar installations beyond PV, including solar lighting, solar attic fans, web-enabled residential and commercial energy monitoring systems, and solar PV-based water heating systems. This gives you the power to transition seamlessly to a cost-effective and more sustainable form of energy throughout your entire house. EvenGreen Technology offers advanced, competitively priced solutions to solar Twin Falls clients and other communities throughout Idaho. EvenGreen Technology provides a holistic approach to energy efficiency with modern technologies, advanced designs, effective engineering, high-quality installations, consumer education, and affordable and reliable products.